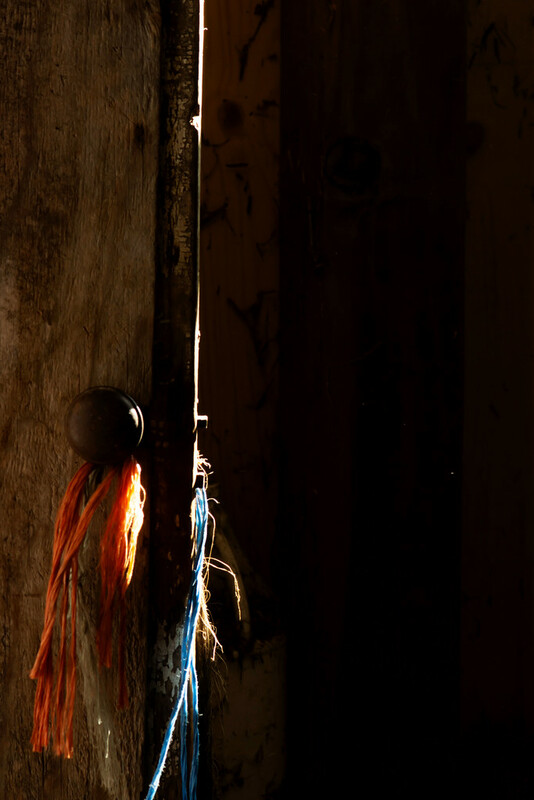 I rather liked how the sun beam caught these two pieces of twine that we use to tie the barn door closed. It's a rather melancholy shot for me - but I do like it. I like this - it is kind of mysterious with that negative space. Love the light on that bit of colour! This is beautiful to me. It’s always the light that makes the object beautiful. I like it too. Great lighting. I do like this shot a lot.